Erica Campbell, a gospel singer who is widely known as the second half of the sister duo, Mary Mary, has been named “the queen of gospel trap music,” and has been widely criticized for this. Some even believe she should give up the title of “gospel artist.” Her most recent news about working alongside R&B singer K. Michelle has caused many fans to become disgruntled. 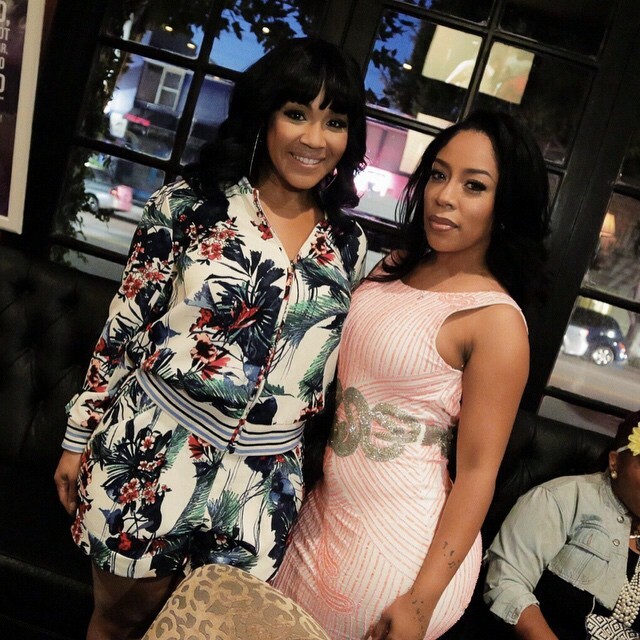 In the early hours of Wednesday, June 3, K. Michelle posted a photo of herself and Campbell posing together. The news that came along with the photo left some fans outraged and others a little confused. Campbell re-tweeted the post, and that is when the comments began rolling in from her 105,000 followers. Many of the negative comments have since been removed from Campbell’s Twitter and Instagram pages. “I’m not a K Michelle fan but she does have a beautiful voice, not a fan of the profanity and music she delivers. So yes Erica will have fans who are against this remix and the song,” one follower’s comment read on the feed. “That’s just like when Kandi did the collaboration with Marvin Sapp and all the blacklash that came from it. Most of the R&B & Rap Artist were raised in church so I don’t get why it’s such a shock every time they sing something gospel,” an Instagram follower suggested. Since the release of Campbell’s solo album, “Help,” many have criticized her style of music, saying it sounds too secular. “No matter where you are, you have to acknowledge that you’re blessed. Everybody don’t like it. Some people are upset about it, but they’ll be all right. God don’t live in a box. Why should I?,” Campbell said earlier this year.